If you are a novice or beginner, the beginner package is the right surf course for you. Our beginner packages are the perfect choice for you who never tried surfing before or you who tried a few times and want to take your surfing to another level! If you have never surfed before or are still a beginner this surf course will set you up with some essential knowledge. You’ll learn the art of riding ocean waves with the fundamentals to take your surfing to the next level. 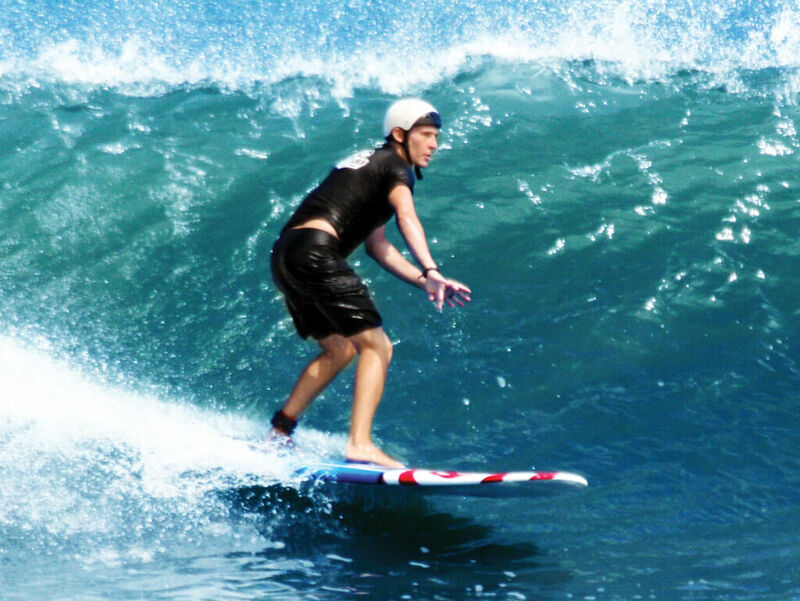 The surf course focuses on basic surfing technique, paddling, popping-up, wave riding stance, turning your board on the wave, ocean knowledge and safety. After taking this surf course you’ll be surfing beach break waves, feeling comfortable in the ocean and know the correct surfing etiquette. Surf course with five surf lessons with Ripcurl School of Surf. Two hour lessons with transport, equipment, drinking water, sunscreen, and snacks. Below you will find our 4 different courses with RipCurl. Level 1 and Level 2 surf course are for novice surfers and the Level 3 surf course is for intermediate surfers who wants to take their surfing to another level. The level 3 surf course and our “little ripper program” is on request and the pricing is slightly different. If you are interested in the Level 3 course or the little ripper program, just let us know and we will tell you more! If you have never surfed before or are still a beginner this surf course will set you up with some essential knowledge. You’ll learn the art of riding ocean waves with the fundamentals to take your surfing to the next level. The surf course focuses on basic surfing technique, paddling, popping-up, wave riding stance, turning your board on the wave, ocean knowledge and safety. After taking this course you’ll be surfing beach break waves, feeling comfortable in the ocean and know the correct surfing etiquette. So you can ride waves but want to smooth out those sketchy cut backs and bottom turns? Push yourself to control the extra power of reef break waves and learn how to stay safe. This surf course teaches you about using natural channels to get out back, reading how a wave breaks, wave take-off positioning and improving manoeuvres like bottom turns, carving and cutbacks. See for yourself when and where you are going wrong with video analysis of your session, and by the end of this course you’ll know exactly how to keep improving your technique. You’re already pushing the limits of your surfing and are now ready to throw yourself in the deep end. This surf course is designed to help you to step up your game. Learn how to drive off your bottom turn to slash the lip of a wave, master fast rail-to-rail surfing and smoothly link your manoeuvres. Borrowing elements of the Rip Curl Team Rider Manual, this specialised surf course will make sure you can really nail those manoeuvres and tricks that you’ve been working on. 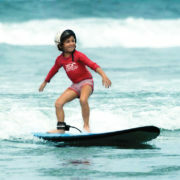 Give your grom the best head start to become a little ripper with a surf course designed specifically for kids. With one-on-one tuition with one of our coaches your kid will get answers to all their surfing questions and always be under close supervision. It also allows for a lesson to be adapted specifically for your child’s ability. The course is all about getting your little ones stoked to surf, through confidence building, skill improvement and having lots of fun. Not sure which surf course is the right one for you? 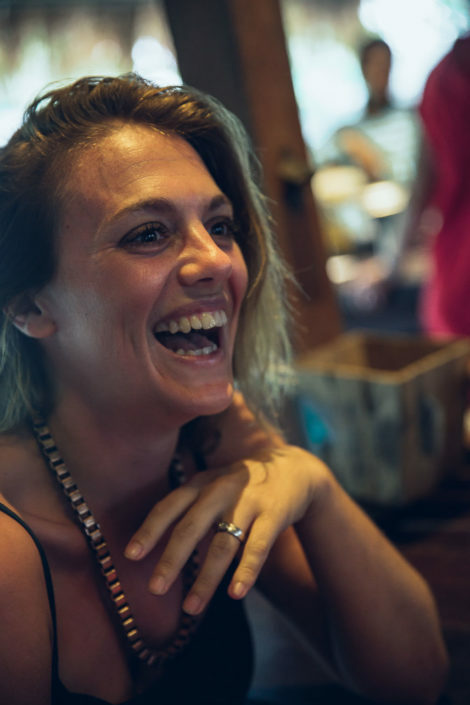 Do you have any set days for surf courses or stays in general? We choose an area where we are close to everything instead, for example when we, during the wet season, go surfing on the east coast mostly, we can choose of a range of different waves instead of surfing one area year round. Our area is very strategic in that point of view and we appreciate being close to the local community instead if the dense tourist areas, who are just a short ride away.